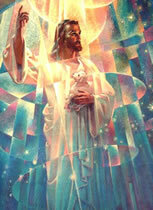 Chamuel and Charity are the Archangel and Archeia of of the Third Ray of God's Love. Their Retreat is located in the etheric realm over the city of St. Louis, Missouri in the United States of America. In every Retreat of the Archangels, there is a Focus of the Sacred Fire that is maintained at all times. In Chamuel and Charity's Retreat there is the focusing of the Pink Flame of Love. This Retreat is called the Temple of the Crystal-Pink Flame. An Arc of Divine Love has been established between this Retreat and that of the Elohim of the Third Ray, Heros and Amora, in the etheric realm near Lake Winnipeg in Manitoba, Canada. 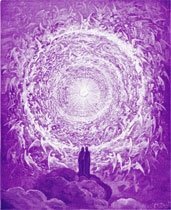 Chamuel and Charity radiate from their Retreat Waves of Divine Love and Creativity to the entire hemisphere and to the entire Earth. Such spiritual action promotes generosity of heart and the expansion of the Flame of Adoration in all who will receive it. The Altar and Flame of the Temple of the Crystal-Pink Flame are dedicated to the flow of Life from the Heart of of the Great "I AM" to the Heart Flame if the Individualized "I AM" extended into the Heart of each embodied lifestream. Archangel Chamuel and Charity invite students to come to their Retreat to expand loving-kindness. Here, they teach absolute trust in the ultimate resolution that Divine Love can bring into daily affairs and family situations. 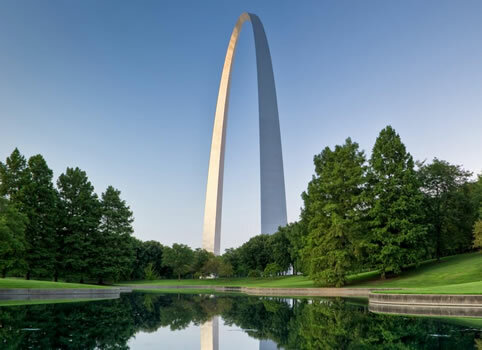 The most prominent landmark of St. Louis, Missouri is a 630-foot high stainless steel Gateway Arch which is constructed near the Mississippi River and symbolizes St. Louis as the gateway to the West. Inspired by the Inner Design of the Retreat, the Gateway Arch is intended as a sign to quicken the awareness of all who behold it that here is the open door to Archangel Chamuel and Charity's Retreat.